What better way to engage and entertain visitors than with a premium immersive experience designed around your location? 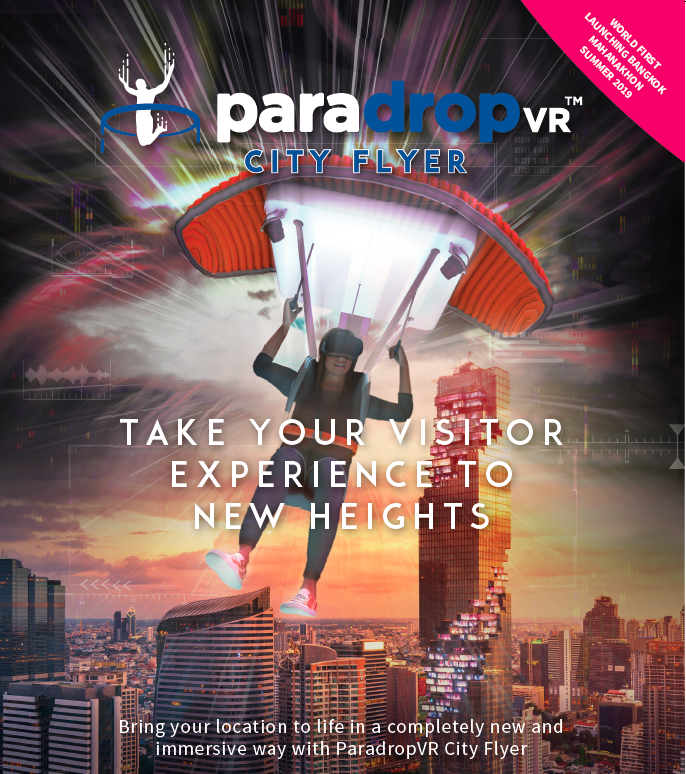 Unlike other flight simulators, ParadropVR™ City Flyer combines self-controlled physical movement with a competitive, skill-based game for a unique experience every time. A compelling spectator experience helps to attract and retain guests, while the bespoke virtual reality content brings your location to life in a completely new and immersive way. To download a detailed product specification, fill out your details below.